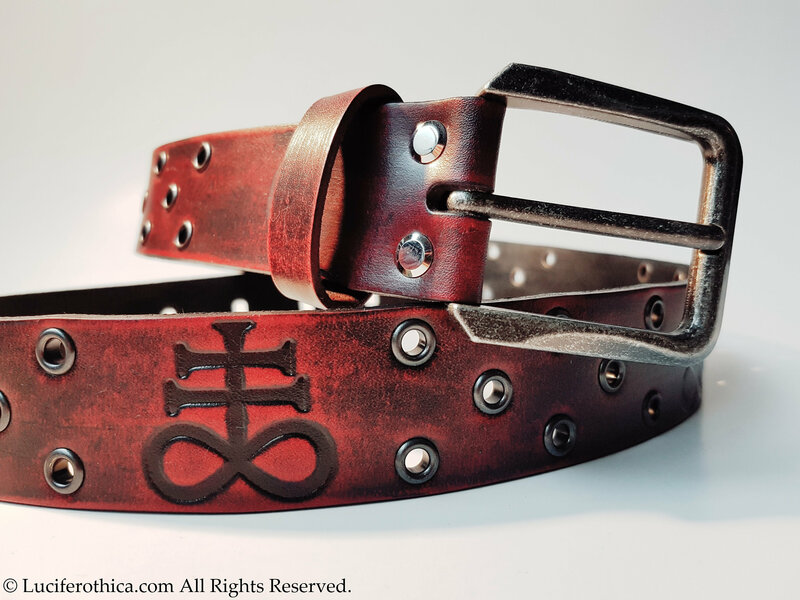 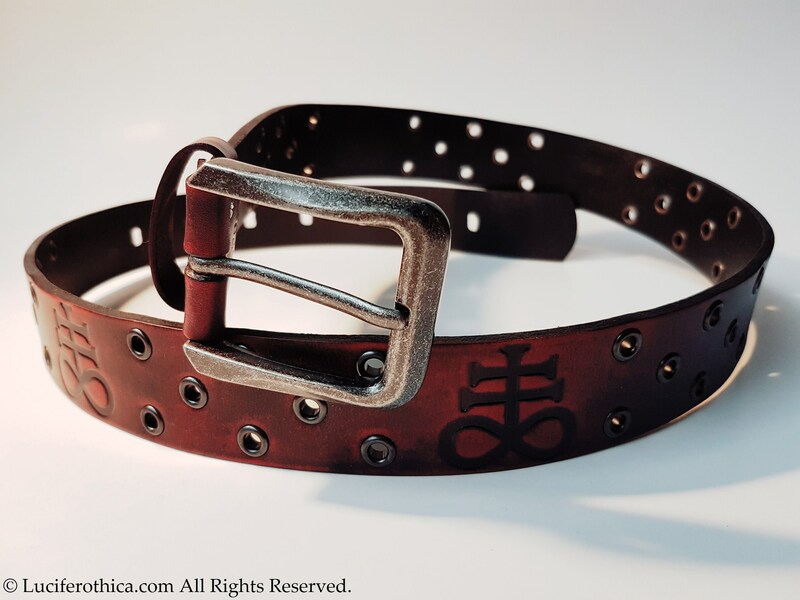 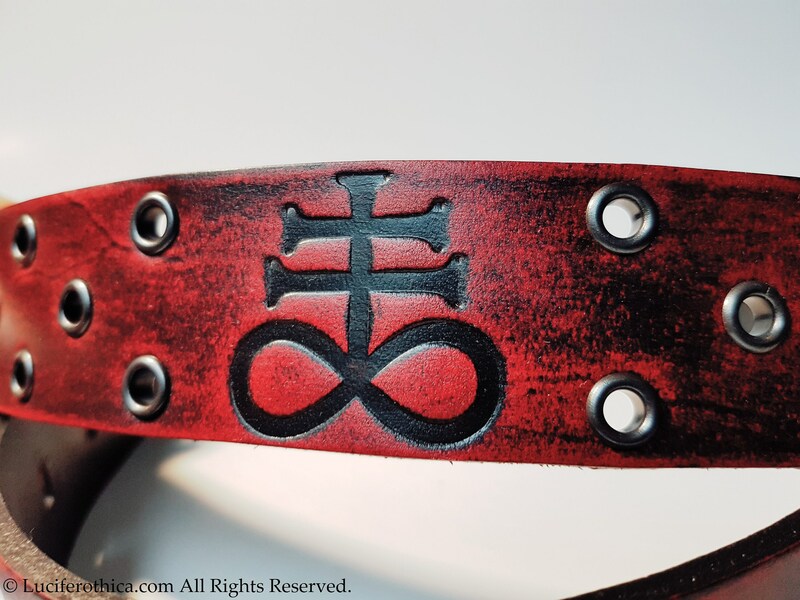 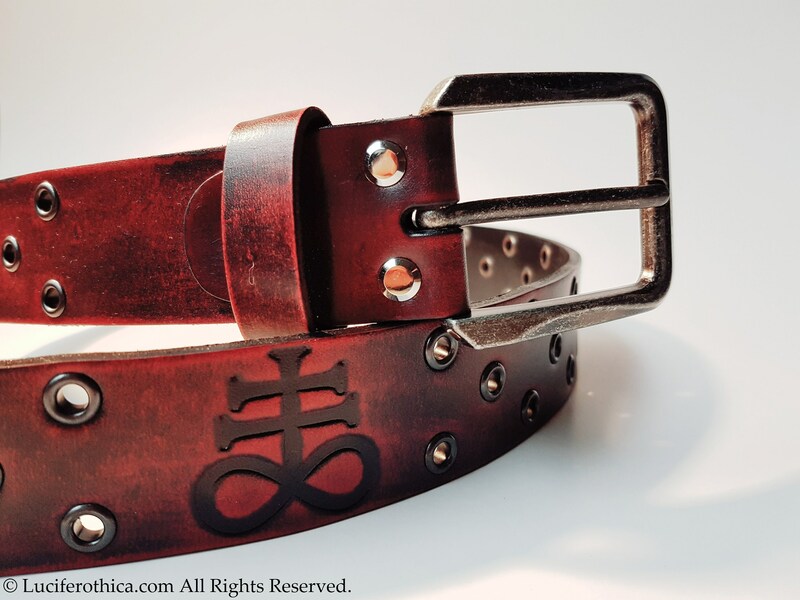 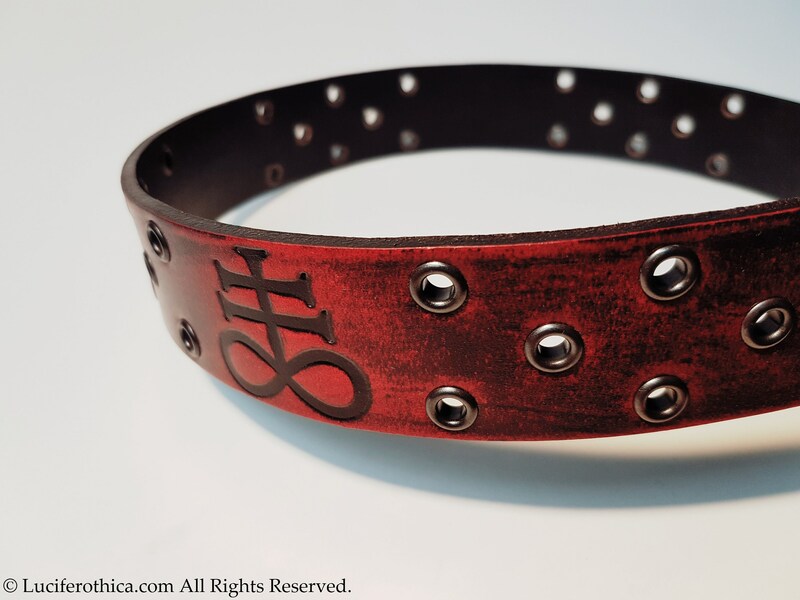 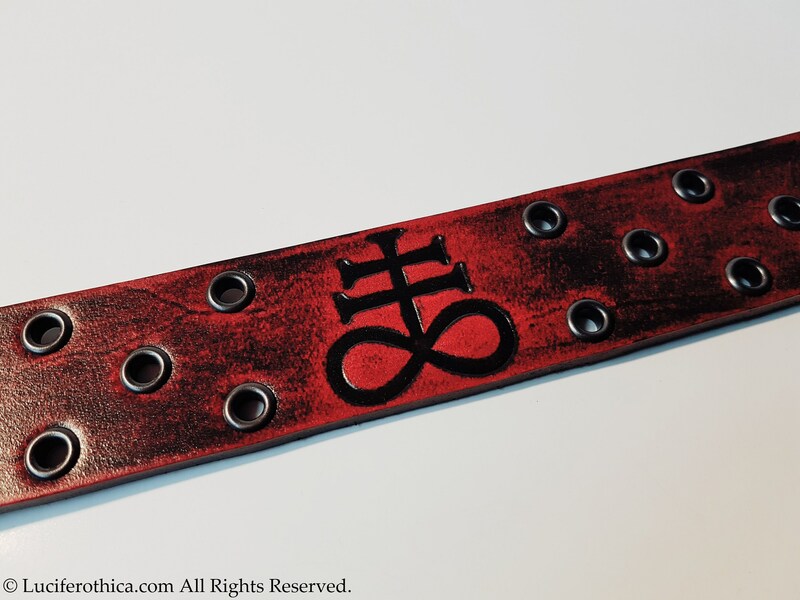 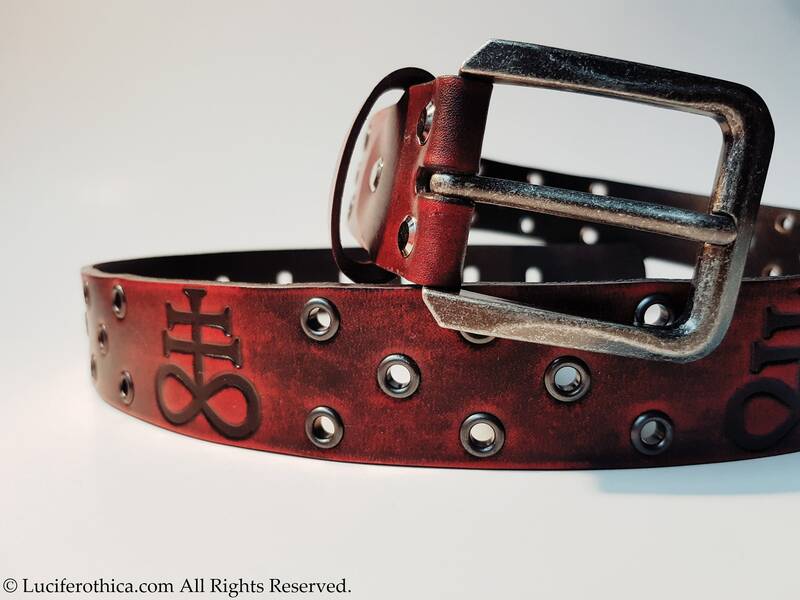 Satanic Cross | Brimstone | Leviathan Leather Belt. 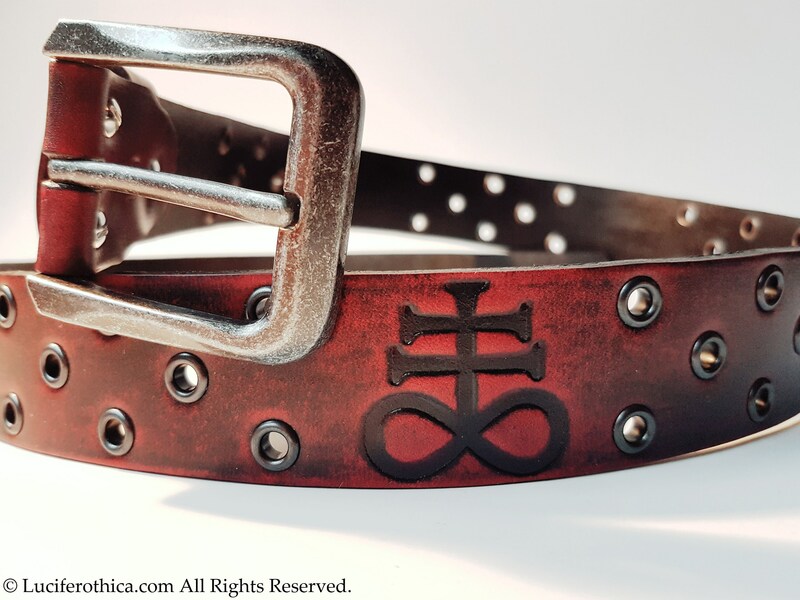 - Satanic Cross pressed around the belt. 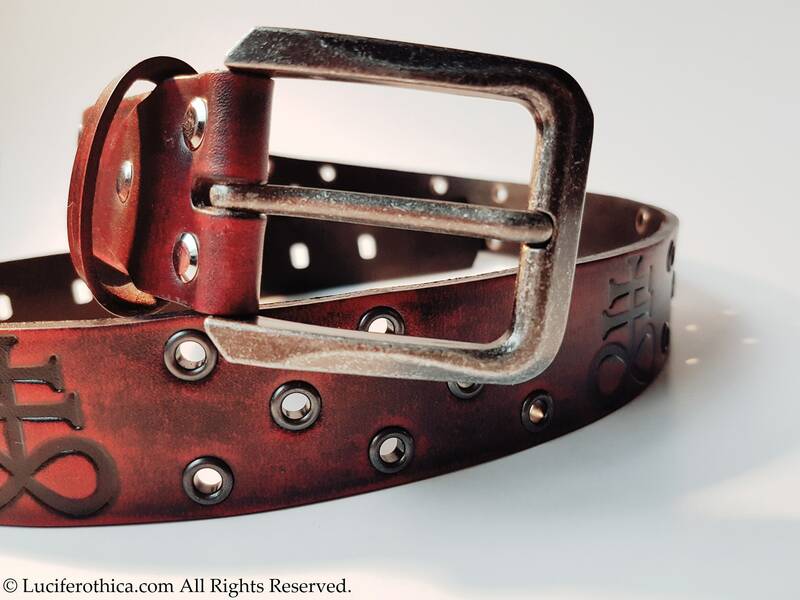 - Lots of gunmetal colour airholes. 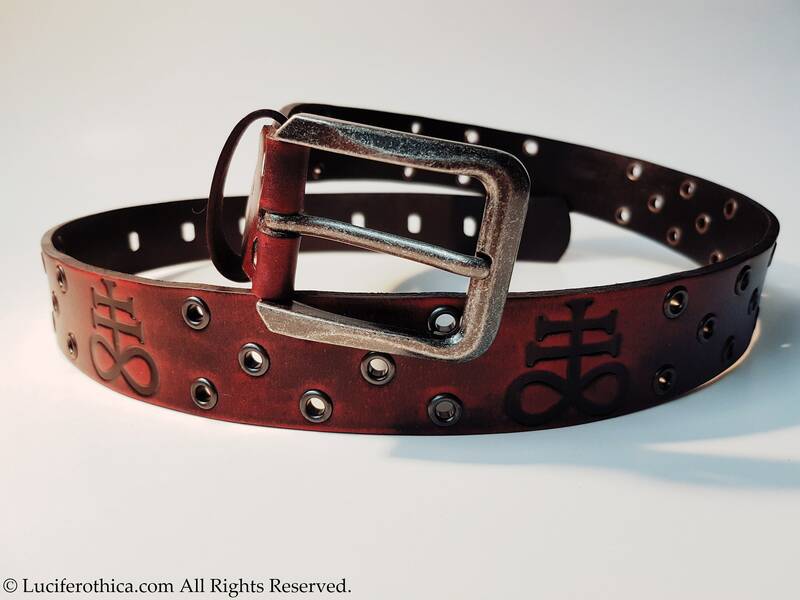 2 different lenghts available, choose in dropdown box.